Transport companies are facing fast changing business environments with fierce competition and rising regulations – for example on driving and resting times. Fleet operators need to adapt and optimize business processes to improve operational efficiency. 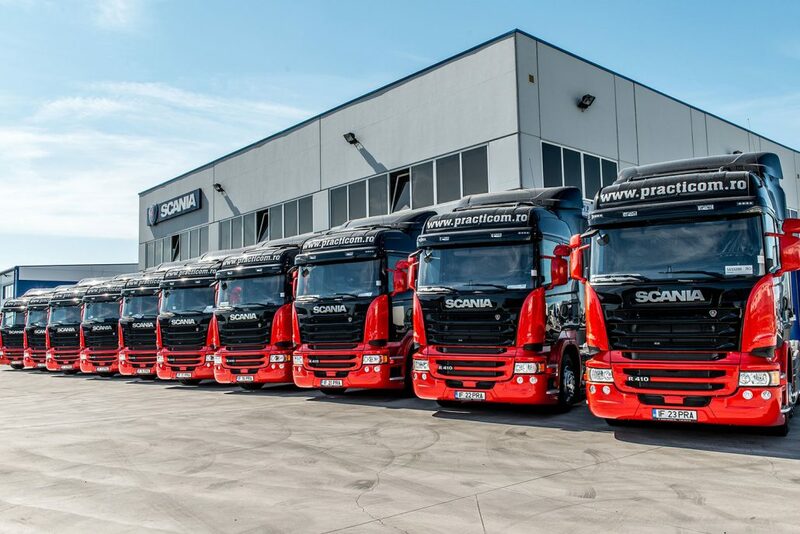 Practicom, a Bucharest-based transport company offering domestic and international freight forwarding, has just met this challenge and equipped its international fleet of 220 commercial vehicles with Transics’ TX-SKY on-board computers. Practicom decided to upgrade its fleet with Transics’ advanced fleet management solutions at the beginning of this year. Each TX-SKY on board-computer is directly connected to the vehicle’s CAN bus and tachograph and registers critical truck and driver information as well as data from other sources, such as document scanners. Relevant data is captured and sent in real-time to the back office – thus reducing administrative efforts for both drivers and dispatchers. Additionally, fleet operators can identify problems such as inappropriate driving behavior or disbalance of driving- and resting times. The fleet manager can instantly provide technical and administrative feedback to the drivers – for example on ideal routes, driving-style or any imminent defects such as underinflated tires. Management reports give a clear overview of the vehicle and driver performance, thereby, enabling optimized planning.